BBQs, pool parties, beach trips…. 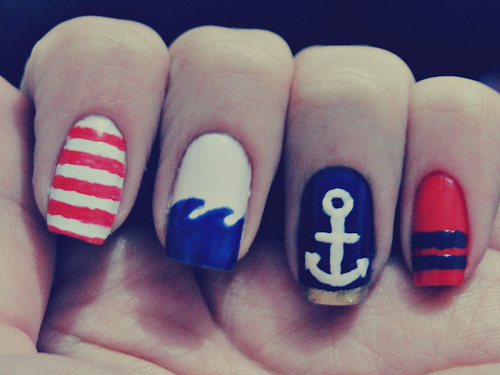 there are so many opportunities to show off a creative manicure during the summer! 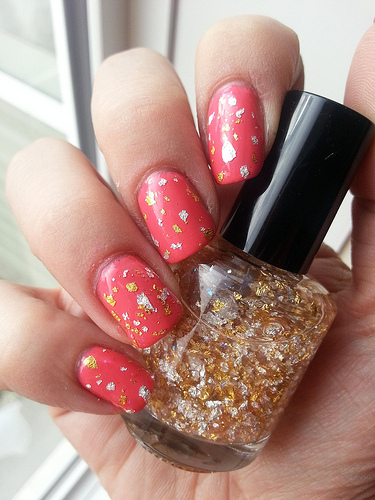 Here are my top 6 favorite gel nail art designs for this summer! It’s the perfect way to support your favorite team while you’re chowing down on cracker jacks and hot dogs at the ball park. 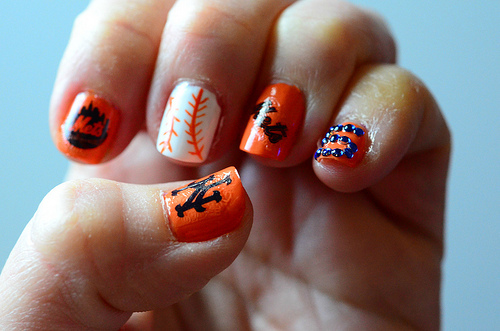 This will most likely be the only manicure a guy will ever notice. This is just too cute! My modification would be to cut the nails down and have less green painted on! 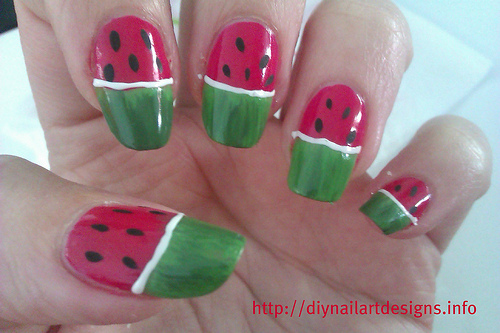 But this is the perfect nail art for summer BBQs! Doesn’t it just make you want to join a watermelon eating contest right this minute? This is a great manicure to rock at that family beach trip… I’m sure it will even impress that hard-to-please Great Aunt of yours. Coral is my favorite color for the summer! It especially looks beautiful with metallic flecks of gold and silver to catch that glimmer of sunshine when you’re floating at the pool! This is a great neon color combination that is just bold enough for the summer season!